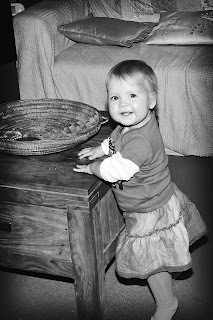 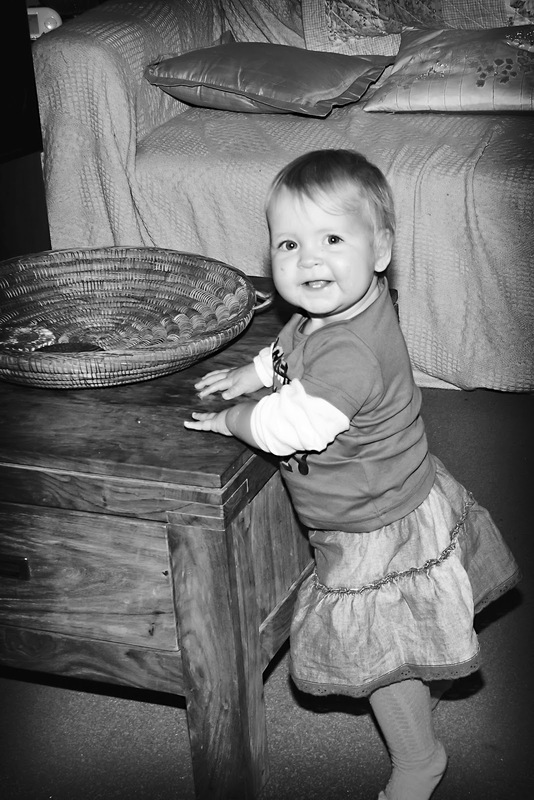 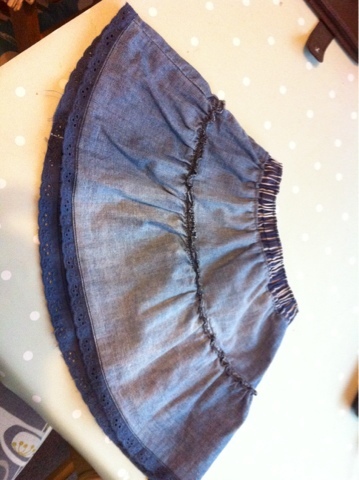 Using an old denim dress I have made a new skirt for Martha. I simply cut the dress in half and hemmed the top. 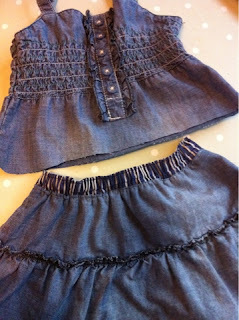 Then I realised I had no elastic to gather in the waistband and being impatient and really wanting to finish the skirt quickly i started thinking of what i could use instead. 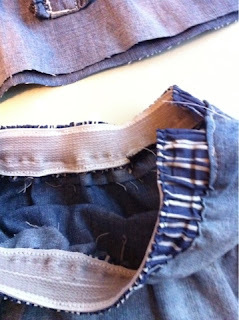 Realising I had just thrown away a pair of Tom's boxers I cut the elastic off them and stitched it around the skirt. 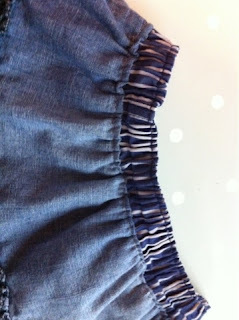 I left on the fabric covering and it adds a nice detail to the waist band of the skirt.